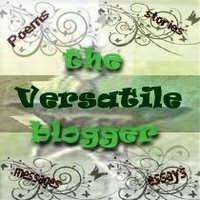 2 Versatile Blogger Awards...? Who me? Versatile? Willing to change easily? Okay the changing or fluctuating readily... that would be my ADD kicking in. My father keeps reminding me that we all have in it in my family and that I need to read the manual. Supposedly the Dummy's Guide to Living with ADD is going to show my the light. But... my ADD keeps me from even picking up the book, I am much too distracted by my cooking adventures! I guess I do jump around, lots. Versatility, that is what I like about myself and I am pretty sure it is one of the reasons my dear husband married me. (wait.. I better check on that). I embrace the sweet, bitter, and savory parts of life...and not just in cooking. Thank you dear Foodie Friends who bestowed this award upon me. I am grateful for the both of you! Kudos and mil gracias to Just Food Snobs..... and Weekly Vegan Menu...Thank you both again! Blogging Tradition States: Thank those who gifted you the award. Tell 7 things about yourself. 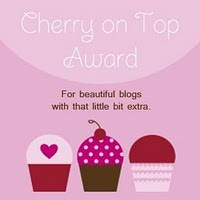 Give the award away to 7 more blogs that you feel are making a difference! All about Me in 7 Simple Steps! It makes me want to turn into a giant big red crab! And spit your little bones out onto the seafood street. 2) I married a corn farmer named Hopper......and yes, you did read that correctly H O P P E R. He is not green but does tend to bounce around a lot. I love him dearly, mostly because he likes my versatility. 3)I gave both of my beautiful children Hindi names. Why? Because they sound beautiful when they roll off of your tongue and I fancy myself a reincarnated Indian Princess. 4)I play guitar and piano and write lovely songs that have nothing to do with food. 5)On a whim, I began working with Latina Mothers and began recording their recipes brought with them when crossing the border. 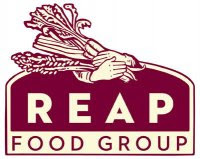 It is to become a cookbook/fundraiser for a low income neighborhood. This is my largest undertaking and hopefully....someone will come through and fund the publishing costs. It is a delicious undertaking and am thrilled to be working with such amazing cooks. 6)Many people call me Munks, Mugsy, Magi and Miss Megan. 7)I am addicted to food blogging. And now... to pass on this wonderful award to some of my new blogging buddies! Check out their links - These women are awesome and they each add something amazing to our blogging community! Good food and love! JFS and WVM are obviously bloggers of taste to have chosen you for the award - am on my way to check them out! Congratulations on your award, and thanks for passing one on to me! Now to come up with seven things...I'll have to think about that a while. It sure won't be hard to come up with amazing blogs though- I'm finding more wonderful friendly people and amazing food every day! Congratulations on your award. It gives me something to strive for. Congratulations! You have an amazing blog and you deserve it :) I love that you make up silly songs... I do the same and it is greeted with about the same enthusiasm in our house! Keep up the good work! I loved everything I saw here! Hey Megan, congratulations on the award! You deserved it.